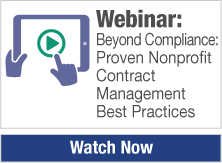 Many technologies, not just document management, can create a burden on the organization that implements them. Typically, this is because the system is overly complicated or requires massive system resources. However, it does not have to be this way. With the advances in cloud computing, application design and user interface design, document managment systems can be implemented quickly and cost effectively. Let’s start with cloud computing, what is it? Cloud computing is when your application uses the computing resources and infrastructure for document storage maintained and accessed outside of your organization. When people think about cloud computing, they tend to think in terms of data storage, processing power and communication bandwidth. Because the power of computing devices keeps increasing while the cost of these resources is decreasing, it allows for inexpensive use, almost as if these components were part of a public utility. Think of your electric company. When you plug in any electrical device, it accesses the power off of your local power grid. That power grid is connected to a larger power grid to provide additional power when one area needs more power. Cloud computing is based on a similar concept. When you use computing power in the cloud, the more processing you need, the more servers take up the load. The same is true for bandwidth and data storage. What makes this model so interesting is that you only pay for what you use, just like your electricity. When your application uses resources in the cloud, you are not responsible for the hardware maintenance or costs; the cloud vendor is. Modern applications take this one step further with Software-as-a-Service or SaaS. You are not responsible for the maintenance of the application or the servers it runs on; the SaaS vendor is. All you need to focus on is the use of the application. You don’t need staff to upgrade your system. You don’t need staff to monitor the servers or the network, and you don’t need staff to enhance the application. All you do is plug into the application. Just like the electric grid, you only pay for what you use. This is perfect whether you have two people who need to use the application or thousands. User interface design is the other piece of the puzzle. With the advent of browser-based interfaces accessing applications delivered via SaaS, your users intuitively understand how to use the system. Today, almost everyone uses the Internet, and they access it from their browser. 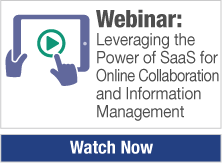 Document management delivered via SaaS is no exception. Documents become links that can be accessed. Buttons, drop down boxes, and dialogs all have a familiar look and feel because the user is using their own browser. Users expect the Internet to look and work a certain way based on their experiences, and document management over the web does not disappoint them. SaaS and browser-based design for document management is how you avoid feeding the pig. SaaS applications deliver on the promise of cost effective implementations. Browser-based applications deliver on the promises of easy deployment and user acceptance. 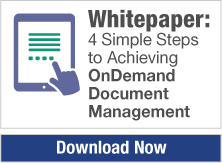 Document management delivers on the promise of efficiency. When combined this is a very powerful. Yet, even with this power, we still see organizations making the process much harder than it has to be. This leads us to our last point; it doesn’t have to be complicated.